Tuesday: 5 Tested Conversion Design Tactics You Should Put to Work. Right Now. 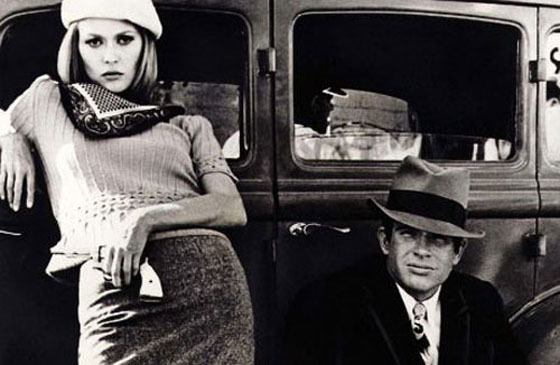 Like Bonnie & Clyde, conversion and design are a legendary pair. These 10 posts on the dynamic duo – conversion and design, not Bonnie & Clyde – will make killer conversions (pun intended). And let’s be honest, there aren’t too many (awesome) conversion centered design posts out there, so when you find 10 that are this good, they’re going to make your day. Let’s get to it. Here are the 10 design for conversion posts that will go down in history. Fact: if nobody’s reading your landing pages, your conversions will always fall flat. You need to make sure that you leverage your design to reach all types of people — “readers, scanners, and bottom-line viewers.” What’s key is that you tell your story in five different places: in the heading, subtitle, body, subheads and close. P.S. Conversion-centered design should be integrated with your brand story. If you run an ecommerce business, you’ve probably been dealing with shopping cart abandonment and conversion rate drops at checkout. Don’t just sit there and watch your company miss out on sales. Instead, empower your shoppers with the knowledge they need to make a buying decision that they feel good about. Here’s a checklist of everything you can possibly do to rock your ecommerce strategy from design and layout to optimizing product details, rewards, special offers, payment systems, and shipping information. 3. Is There a Science to Picking the Colors that Work Well Together? Should psychology underscore your color scheme? You bet. This Quora discussion thread will introduce you to everything you want to know (and more) about color. You’ll learn: whether to chose a pure color, tint or shade; how to align your color palette with the emotions you need to drive sales; and how to improve readability. When was the last time you gave your flat ‘click here’ buttons a good look? Onboardly co-founder, Renee Warren, explains that it’s the little things that give CTAs their conversion-centered edge. Pay attention to your colors, shape, placement, and core messaging. Most of all, remember that your buyers come to you with a range of tastes, perspectives, and values. Good design will empower you to become a master of persuasion. When in doubt, turn to your basics for guidance. Fundamental design principles (yes, the old-school ones) are essential for boosting conversions. This guide will walk you through the design concepts you wish you’d learned — from encapsulation to color and contrast, directional cues, and whitespace. What’s key is that you develop a design strategy that is equally persuasive and aesthetically pleasing. Poor design has the potential to completely ruin your website’s potential. #truth. A disjointed site structure, for instance, is a user experience disaster waiting to happen. What good is information if there is no clear CTA or logical flow? Next, there are content-crammed websites that transform good information into chaotic overload. And then, there are the generic-looking website templates that scream ‘I’m gonna spam you’ to your visitors. Luckily these problems have quick fixes and straightforward solutions — Churt provides a super clear picture of what you need to do. Even the most creative designers could benefit from a little inspiration. Here’s a roundup of some of the coolest landing page designs out there (although some of them are homepages, but they will give you inspiration none-the-less). The mix features a collection of startups, B2B focused brands, and consumer-driven social media tools. Learn from the best to give your conversion centered design an edge. This meaty post is all about conversion-focused, responsive design. Don’t know what that is? It’s okay Neil explains in the post. He also highlights what conversion elements you should keep and shouldn’t keep when scaling for mobile and tablets. When it comes down to it, the most important thing you should do to increase conversion using mobile responsive design is to uncover what features your visitors consider to be vital. “In order to market a product or service, you have to understand what people want.” Context is a key ingredient for your conversion and design strategies. It’s important that you look beyond the ‘what’ of your analytics to the ‘whys’ and ‘hows’ behind your customers’ key decisions. Testing is invaluable to the success of your conversion centered design strategy — so start testing early. Focus on several strategically selected personas, test your shopping cart, and test your competitors too. When it comes to testing, don’t hold back. Conversion optimization is a discipline that transcends form and function. Your marketing needs to be more than practical — it needs to be beautiful. People will judge your business by how your website (or landing page) looks. If you’re not putting your company’s best face forward, you could be missing out on key sales opportunities. Can you guess what one study pinpointed as the most common reason for mistrusting or rejecting a website? Web design. Conversion experts can’t escape the power of looks. Jump right on into the conversation! What are the most valuable lessons you’ve learned about designing for conversion?